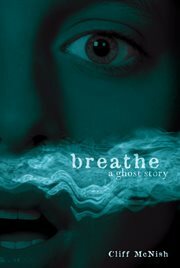 The item Breathe : a ghost story, Cliff McNish, (electronic resource) represents a specific, individual, material embodiment of a distinct intellectual or artistic creation found in Austin Public Library. Jack can talk to ghosts. In his new home, he meets the Ghost Mother, a grief-stricken spirit preying on four child ghosts. Can Jack save the ghost children from a horrible fate? Virginia Readers' Choice Award for Middle School, 2011.